Porous asphalt is often the asphalt of choice for homes and commercial parking lots with drainage problems. It’s also commonly used in roadways, fire lanes, sidewalks, driveways, and road shoulders. Ideal for municipal projects that are faced with stormwater regulations, porous pavement is a low maintenance option. It allows water to drain through the asphalt into the stone bed beneath it. The drained water then works its way into the soil the way Mother Nature intended. Toxins left on the surface are swept away with the rainfall through the stone bed and then to the sub-base. Nature then cleanses the water. But it’s the design of the stone bed that keeps the water level from never rising into the asphalt. Cost and environmental benefits by reducing demand on storm sewers. Some government fees can be reduced or eliminated. Can infiltrate up to 80% of the annual water runoff. Reduce your need for construction, maintenance of storm water facilities. Increase the effective developable area. Cooler asphalt temperatures, reducing the need for storm system basins. Doesn’t require as much energy to manufacture. Smooth enough to meet the Americans with Disabilities requirements. Attractive! Long lasting with proper installation and regular maintenance. Can last up to 20 years with little or no splitting, cracking, or potholes. Allows water to penetrate pavement. Absorbs and stores solar radiation. Doesn’t release it into the air driving up temperatures. Encourages robust vegetation. Impermeable pavements create pockets of heat in developed areas called heat island effects. Such temperature disparities can affect natural ecosystems and local communities. Porous pavement surfaces combat this effect because they allow water to penetrate the pavement. And because of its open pore structure, it absorbs and stores solar radiation. It does not release it into the air driving up temperatures. Porous pavement also encourages robust vegetation in the area surrounding it. Trees, shrubs, and grasses all thrive in areas with porous pavement because it provides easier access to carbon dioxide and water. That’s an excellent combination when aesthetics is an important consideration! Whether you use porous pavement for a private drive or commercial parking lot, the inherent benefits of this sustainable product ensure long-lasting results. 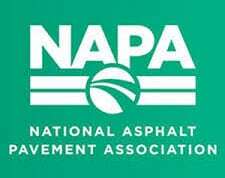 If you’re considering porous asphalt pavement, talk to us about what you need. B & S Contracting is a VDOT and Virginia Asphalt Association winner. Our commitment to quality can never be overstated.